Hi There My Name Is Michael And i live in Auckland,New zealand. Im On Adsl2+ On Orcon@home network. I wanted to get a tunnelbroker to my house so i can get a ipv6 address. this is a error i get : Error: Your IPv4 endpoint is unreachable or unstable. 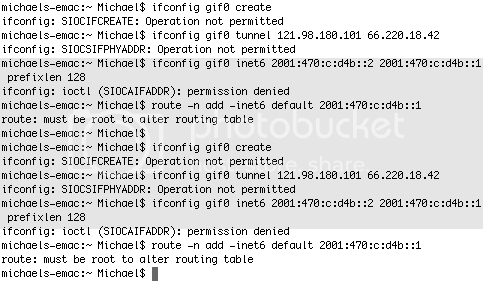 Please make sure ICMP is not blocked. If you are blocking ICMP, please allow 66.220.2.74 through your firewall. i was using my Ip as my IPv4 endpoint. My Firewall is disable, my Remote Assistance is disable, my Intrusion Detection is enable , my Dynamic DNS is disable and my UPnP is enable. So does anyone know what i should do? Enable ping response on your router/firewall. Open a command window (it is called "Terminal" in OSX afaik). Then type "telnet 192.168.1.254", default credentials are user: Administrator (pay attention to the first capital letter since it's case sensitive) with a blank password (or your own credentials of course, it's the same username/password you use to log on to the web interface in case you set your own password). Afterwards try to recreate a tunnel at HE. It should work this time. By the way, for the tunnel to work you might need to disable the intrusion detection and/or the firewall in the web interface. you also need to use the 121 address instead of your 192. It Keeps Saying : Failed to add interface group to unknown service access list. Ah It worked after the 8th time. now i just need to know how to set up my tunnel on my mac. it doe stay ipv6 on my mac but i dont know what my Ipv6 address is? its showing my ipv6 address but im still on the net with my ipv4 address. This is what i get when i try to set it up. Indeed. And since his Mac is behind NAT, he'll need to replace his public IP4 (121.98.180.101) with his local Mac IP (e.g. 192.168.1.x) in the commands. i didnt enter any passwords cause my modem doesnt have a pass for the admin acc. 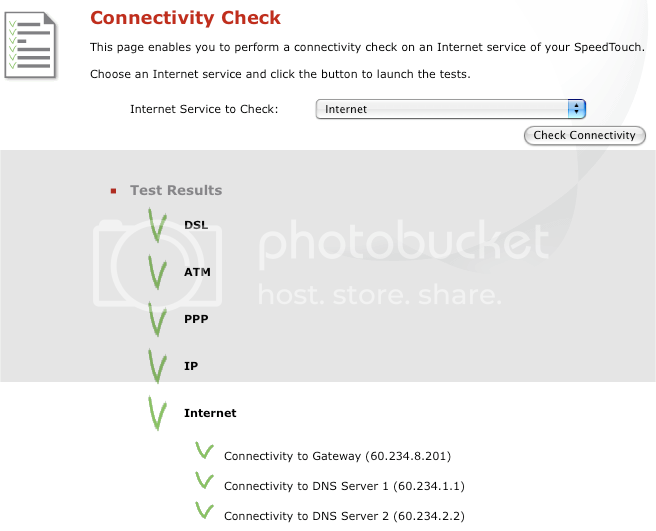 Can you ping any IPv6 address? In terminal, enter something like this to verify. Also take a look at my post just above yours, since we posted our replies at the same time.